The Sri Lankan education system needs to change with the advancement of technology. The government spends around Rs. 4,000 million for the printing of text books for students, but with the provision of Tabs to students, the issue of text books could be overcome and even additional reading materials could be accessed using these Tabs, Education Minister Akila Viraj Kariyawasam said in his wrapping up speech. “Tabs could be used for around four years.We could include the syllabus and text books in that, so that the children can easily access all these materials,” he added. Minister Kariyawasam also said that this could also be a viable option in areas where there is a shortage of teachers. “We could address that issue as well if we keep up with the modern technical advancements.We could conduct classes through the E-learning system. Hence, I think everyone should support these moves that will be beneficial and help children keep up with the advancements of the world. Do we still have to be stuck in the stage of using slates?” he asked. Responding to an allegation by a member of the Opposition that there are no toilet facilities in around 3,000 schools, the Education Minister noted that this was an irresponsible statement and denied these figures. “I don’t know who provides these false figures. We have built around 34,000 toilets so far during the past four years. I accept that according to standards there should be one toilet per 50 students. I do admit that we are not up to that standard, but it is a lie that of the 10,000 schools in the country that 3,000 don’t have toilet facilities. He asked those who are finding fault with the government to step onto the streets and ask the people if nothing has been done in the education sector. “I recently went to Anamaduwa and the zonal director notified me that of the 226 schools in the area, 86 had been provided with new buildings. The rest of the school buildings too had been renovated. There could be several that have not been brought to standard, but these too could be due to not adhering to the guidelines provided by us. But as a whole, we have made revolutionary changes in the education sector,” he said, referring to making 13 years of education compulsory, the Suraksha student insurance, education funds and several more. Youngsters come to meet politicians seeking jobs.This is a situation to be ashamed of. They are sometimes more qualified than politicians, Finance State Minister Eran Wickremaratne said. "This is pathetic plight. Hence, we need to develop the quality of education and children must be taught how to think and not what to think, Wickremeratne said yesterday. He emphasised that the quality of education needs to be improved and technology has become an integral part of education today. Hence, he noted that the government has taken many measures to help students keep up with the technological improvements by way of providing them laptops and tabs. However, he said there is one shortcoming in the current system which is that the allocated sum for the education is not fully utilised. “This is a recurring problem and it needs to be managed properly.This year too we have allocated Rs.106 billion for education, Rs.81 billion for higher education, Rs.136 billion through the provincial councils and Rs.11 billion for vocational training and skills development. In total around Rs. 344 billion has been allocated for the whole education field,” he said. UPFA MP Bandula Gunawardena urged the Government not to let fee-levying private schools to open branches that could pave the way for a privatisation drive in the education sector. Joining in the committee stage debate of the ‘Budget 2019’ yesterday when the Expenditure Heads of the Education Ministry and City Planning, Water Supply and Higher Education Ministry were taken up, MP Gunawardena said the move to let selected private schools to set up a maximum of five branches is unfair by prominent government schools. “There are 80 government approved private schools. If they open five branches each, there will be 400 new private schools. Parents will enrol their children to these schools despite financial difficulties they face. This will be a lucrative business for some. They will earn millions of rupees in net profits.This should not be allowed,” he said. Education Minister Akila Viraj Kariyawasam responding to MP Gunawardena said the Cabinet decision in that regard had been taken by the previous administration when Gunawardena was the Education Minister. “I only legalised it,” he added. MP Gunawardena pointed out that he revised a Cabinet paper he presented because he understood that it could lead to mushrooming of substandard private schools. “Certain businessmen told President Mahinda Rajapaksa to make it compulsory for international schools to teach history, religion and language. Upon receiving instructions from the then President, I asked officials to prepare the relevant Cabinet paper and I signed it overlooking a Clause which permits to amend the law with regard to setting up of private schools.Later, when my attention was brought to it, I swiftly presented another Cabinet paper revising the first,” MP Gunawardena explained. The MP also pointed out that in the contemporary business of education obtaining a PhD at the age of 23 years is not that difficult if one can spend lavishly. “To say the truth, none of us or not even a Pradeshiya Sabha Chairman enrols their children to a village school.We admit our children to prestigious schools and send them abroad after OLs.They can finish their degree at 21.None of us say this in public because then our hypocrisy will be exposed,” he commented. All governments that ruled the country so far should be ashamed for failing to introduce a National Education Policy during their tenures, Chief Opposition Whip, United People’ Freedom Alliance (UPFA) MP Mahinda Amaraweera said. 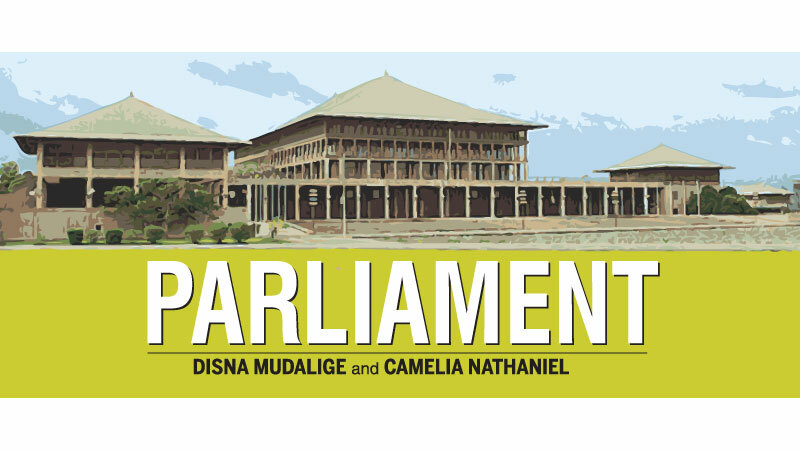 Joining the Committee Stage Debate on the Appropriation Bill 2019 on Education and Higher Education Ministries, Amaraweera said the entire education system is in a crisis at the moment because the country lacks a national policy on education that does not change whoever governs. He noted the government always highlights statistics regarding the number of students who qualify to enrol for internal degree programs of state universities. “But can we really be happy about it? Our children receive free education from Grade One up to university level. But when they pass out from the state universities they don’t have suitable employment opportunities. There are many high ranking positions available in the government sector, but unfortunately we do not have qualified people for them. At the same time, thousands of youths take to the streets demanding for jobs. There is no coordination between the education provided to them and the employment opportunities available to them when they graduate. This is entirely because as a country we do not have a solid national policy on education. This is actually a sad situation,” he said.